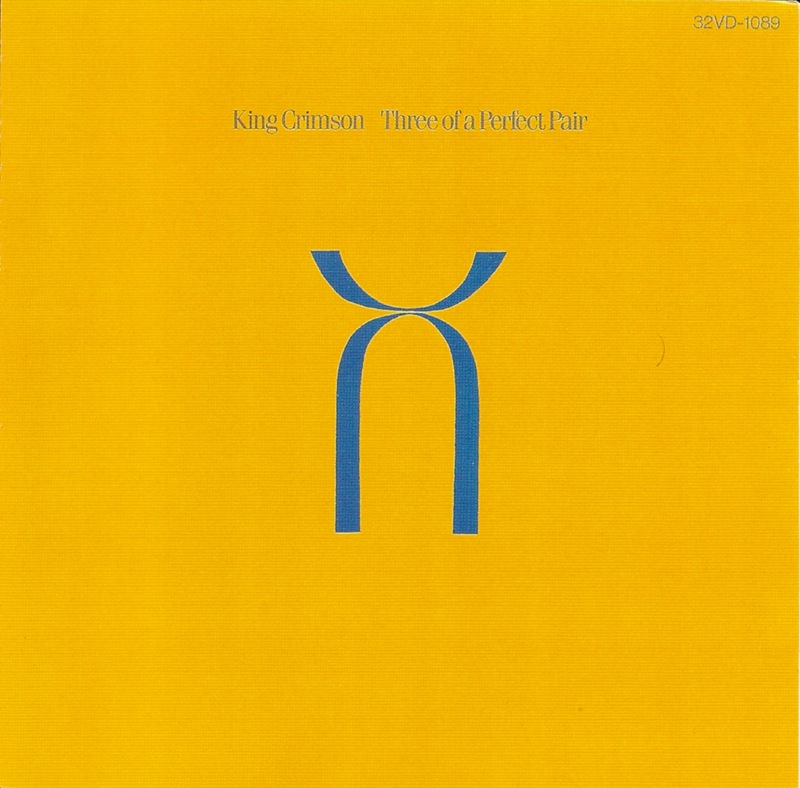 King Crimson is a rock band founded in London, England in 1969. 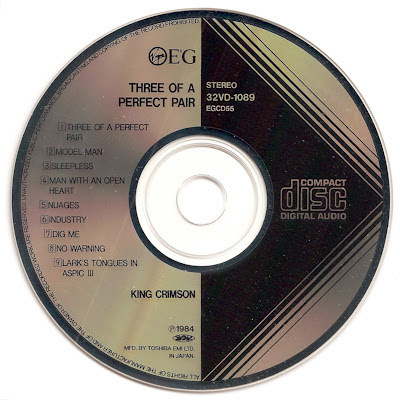 Often categorised as a foundational progressive rock group, the band has incorporated diverse influences and instrumentation during its history. 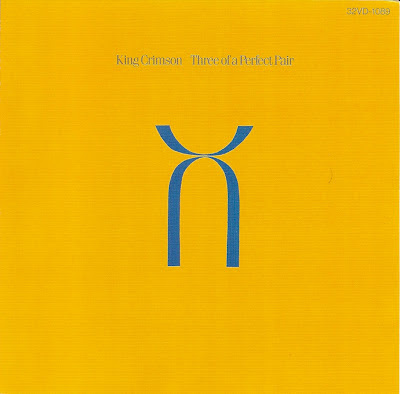 The band has been influential on many contemporary musical artists, and has gained a large cult following despite garnering little radio or music video airplay. 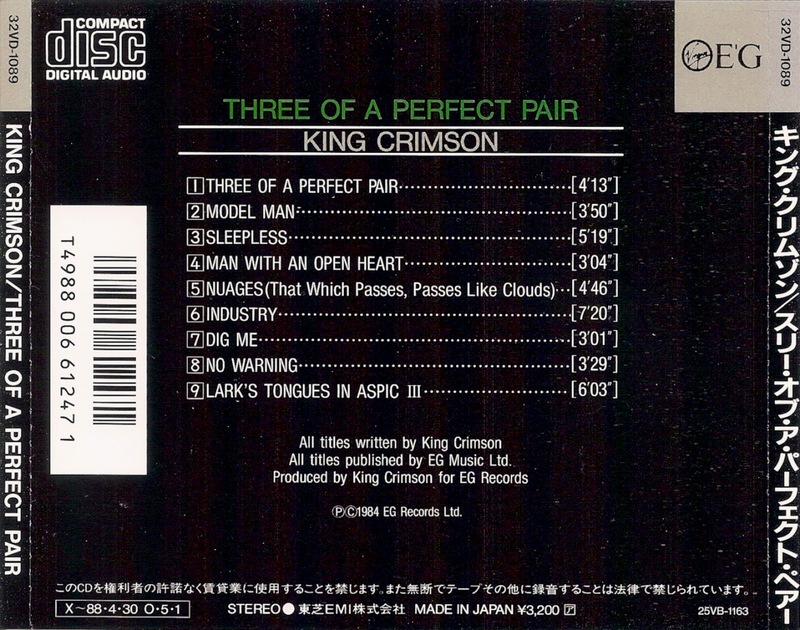 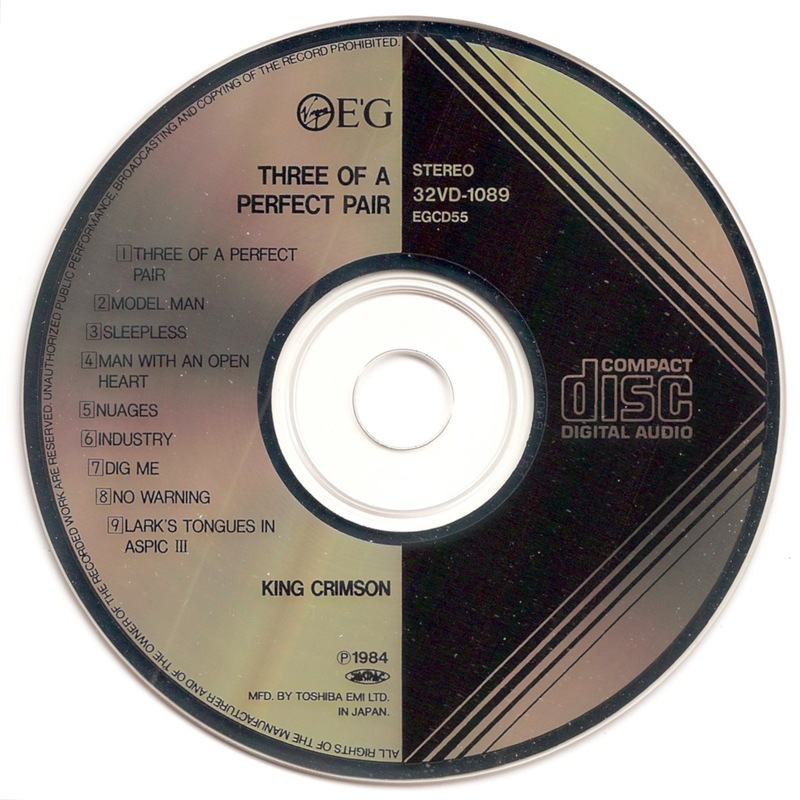 Three of a Perfect Pair is the tenth studio album by the band King Crimson, released in 1984.